Rebecca, or Becca as we called her, was truly a beautiful person inside and out. Though only spending 23 short years on this earth, she made an unparalleled and unforgettable impact on the lives of everyone she knew. 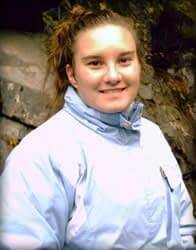 Becca was taken from us by myocarditis in February of 2009. At the time, she was a beautiful, healthy young woman with no prior cardiac issues. Becca was working as a medical assistant in a doctor’s office with ambitions of attending nursing school. The days preceding her death, Becca had been fighting off a typical cold. There was no reason to think it was anything more than that until she collapsed the morning of February 5th. The paramedics were called but could not get her heart started again. In the blink of an eye she was gone and our lives had changed forever. Nearly a month went by before all the lab results came back. It was then that we learned about the devastatingly under diagnosed disease called myocarditis. Anyone who knew Becca can tell you countless stories of how she influenced their lives. Her smile could light up an entire room and make your whole day better. Becca was very proud of the life she had created for herself through hard work, her relationship with her family and with God. She truly had the biggest heart, evident to everyone around her. Even though we were only given a short time to spend with our beautiful Becca, her compassion for others and unyielding love for her family will never be forgotten. Becca has established a permanent place in the hearts of those who knew her. Her sweet memory is what gives us the strength and courage to keep moving forward, knowing that we will one day see each other again.